What challenges does Tim Cook's Apple face? The greatest fallacy in the story of Steve Jobs stepping down as Apple CEO, the one you’ll find in endless media reports, is this: In 1985 after Steve Jobs left Apple, the company went on a downhill slide that led it to the brink of bankruptcy. Therefore, the Apple of 2011 is at risk of doing the same. The factual statements are true, so far as they go. Steve Jobs did leave Apple in the mid-80s, and a succession of Apple CEOs named Sculley and Spindler and Amelio did manage to nearly run Apple into the ground over the next 12 years. But the flaw in the History Repeats Itself storyline being promoted in some corners as Jobs steps down as CEO is that the Apple of today is nothing like the Apple of 1985. When Steve Jobs left Apple the first time, I was finishing my freshman year of high school. As a result, I have no insider knowledge of that era. Eight years later, I was covering Apple… and Apple rapidly went through three CEOs who made numerous bad decisions that led Apple to the brink of disaster. Steve Jobs, meanwhile, was building a company (Next) that had created an interesting computer operating system that was being used by approximately nobody. The magic happened when Jobs came back to Apple, so when I say that Gil Amelio helped run Apple into the ground, I have to admit that he also made the decision that saved Apple’s life: He bought Next and didn’t just get the foundation of Mac OS X (and eventually iOS)—he also got Steve Jobs. By 1997, Jobs ran Apple with absolute power, the kind of power he had never had during his first go-round at Apple. 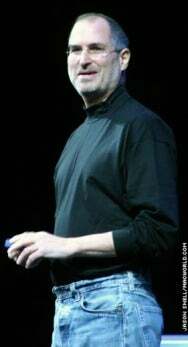 Jobs was a co-founder, yes, and his time working with the original Macintosh team is the stuff of legend. But the Apple of 1985 wasn’t Steve Jobs’s company—not hardly. When he took the interim CEO job more than a decade later, Jobs didn’t make that mistake again. Older and wiser, and with the complete support of Apple’s board of directors, Jobs remade the company to his specifications. The iMac was a first quick sign of the turnaround. The original iPod and the decision to open retail stores began the real momentum. The release of the iPhone and the iPad marked Apple’s ascendance to what it is today: The most important technology company in the world. The Apple of today is hugely profitable, with tens of billions of cash, a 90 percent share of the tablet market, a rapidly growing smartphone business around the world, and the only truly profitable personal-computer franchise left. This is where Steve Jobs leaves Apple as CEO: on top, with momentum to carry it further up. But the most important thing about what Steve Jobs has done in the past 14 years at Apple is this: It’s not all about Steve Jobs. Jobs has built this company in his own image. The executives are people who he trusts, people who have worked with him closely and understand his product philosophy. The creation of Apple University is an attempt to codify what we might as well call the Apple Way, which is essentially the Steve Jobs-driven product and business philosophy that has shaped today’s Apple. So can someone at this modern, Jobs-constructed Apple take Steve’s place? Of course not. He is irreplaceable, at least by a single person. There’s a reason why Steve Jobs is probably going to go down in history as one of the titans of American business: he’s a rare talent. People like Jobs don’t show up that often. Tim Cook, Apple’s new CEO, is not going to be Steve Jobs. He’s going to apply the business acumen he’s always applied. There are other members of Apple’s executive team that, likewise, will fill in pieces of the puzzle. Steve Jobs essentially wrote the rulebook for how Apple runs, but it’s not like all of Apple’s employees sit around waiting for Steve Jobs to tell them what to do. Is there a danger that Apple after Jobs will slip? First off, there’s no guarantee Apple would continue on the roll that it’s been on, even with Jobs at the helm: It’s rare to see a company succeed so spectacularly for so long, and all good runs come to an end. And of course, there are plenty of examples of companies that have lost their way after the departure of a charismatic, creative executive—Disney comes to mind. Nothing is certain in life. Just ask Steve Jobs, who has watched Apple’s incredible success for years while dealing with his own brutal, personal health issues. But Apple’s not doomed to repeat its first post-Jobs fall. Today’s Apple is vastly more successful than the Apple of the 1980s never was. It’s got a team and a corporate culture that are the envy of the business world. And it’s had several years to come to grips with the idea that its CEO might not be able to stay in charge forever. No company is guaranteed survival. The technology industry is ruthless and the pace of change keeps accelerating. But if there’s a company that’s in a position to survive and thrive even without Steve Jobs as the CEO, it’s Apple. Now it’ll be up to Tim Cook and his team to make sure the company sticks to the playbook. After all, the new chairman of the board will be watching.